Watch Bill English on The AM Show. Credits: Newshub. National deputy leader Paula Bennett has apologised to Prime Minister Bill English after he faced sticky questions over Ms Bennett's comments that serious criminals have fewer human rights. After her comments were condemned by lawyers citing the Bill of Rights, Mr English was forced to spend his morning media appearances explaining Ms Bennett's comments were "not an accurate reflection of policy". 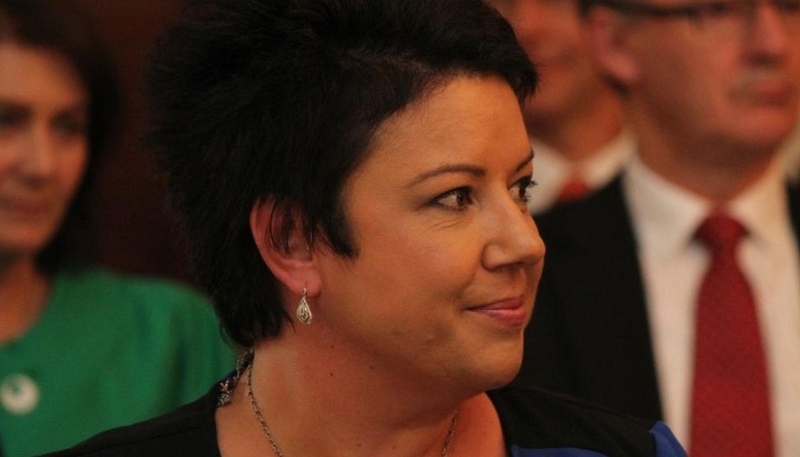 Ms Bennett told RNZ she stands by the policy but has apologised to Mr English. "Oh, I don't like that the Prime Minister's had to go out and defend me this morning, so I've apologised to him in regard to that," Ms Bennett says. "But I certainly don't apologise for this policy that I think is really good work and will make a difference in terms of keeping our streets safer." Ms Bennett's apology came just as National finance spokesperson Steven Joyce made the huge claim that Labour has a $11.7b hole in its Budget. If Mr Joyce's claim is incorrect and Labour's fiscals are tight, Ms Bennett's may not be the only apology Mr English receives from a senior party member on Monday. Ms Bennett made the comment during a National Party policy release on Sunday, during which the party promised extended powers allowing police to search the houses of gang members suspected of possessing illegal firearms. "It probably does breach the rights of some of those criminals but they have to have had a serious violent offense behind them already, and a firearm charge and on the basis of that we are going ahead with it," Ms Bennett says. Asked if she believed criminals had human rights, Ms Bennett said: "Some have fewer human rights than others when they are creating a string of victims behind them." She later doubled down on the comment, tweeting "Scum gangs that peddle drugs don't deserve protection. They have zero regard for the harm they cause." Defending the policy on The AM Show on Monday, Mr English said: "Police want the ability to get in there and search without a warrant. A select committee of Parliament proposed that a number of months ago with agreement from a number of the parties, so it's not a new idea."